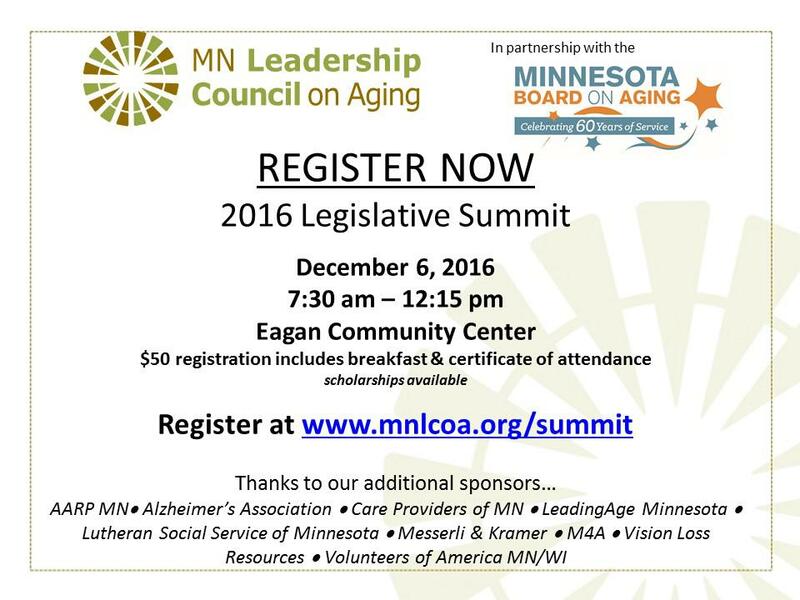 The Minnesota Leadership Council on Aging and the MN Board on Aging invite you to attend the 2016 Legislative Summit on Dec. 6, 7:30 a.m. to 12:15 p.m. at the Eagan Community Center. Register at this link –www.mnlcoa.org/summit . $50 registration includes breakfast and certificate of attendance. Scholarships are available.